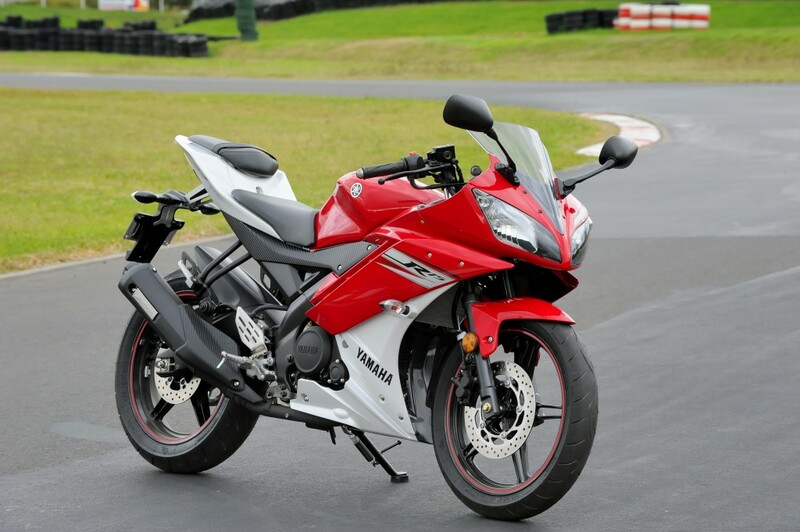 It’s easy to fall into the trap of bigger is better when looking at motorcycles but fortunately for first time buyers the learner legal category ensures you don’t bite off more than you can chew, particularly with the Yamaha YZF-R15. 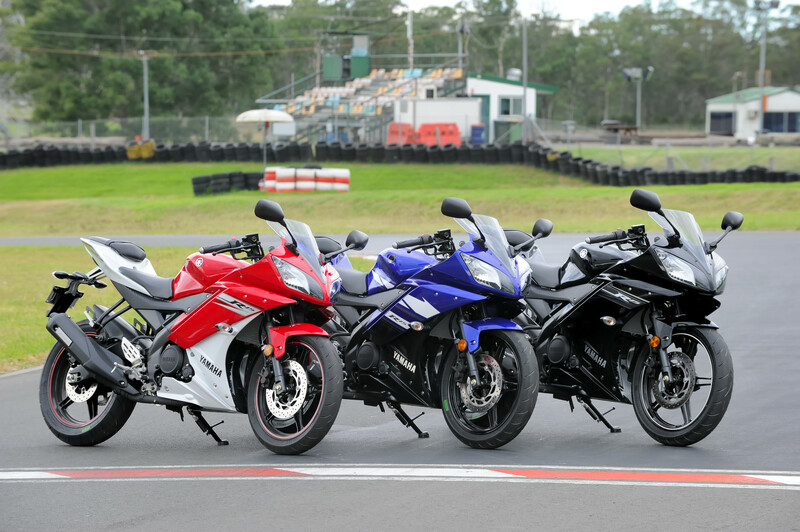 Recently we’ve also seen manufacturers really listening to their customers and creating learner legal bikes with styling to match their larger siblings and the YZF-R15 really delivers both in looks and performance departments. 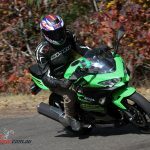 The R15’s launch was split between road rides and track time on the International Karting Raceway at Eastern Creek, with the road ride coming first. Setting out one fact became immediately clear, the red R15 was stunning and everyone wanted to be riding it. 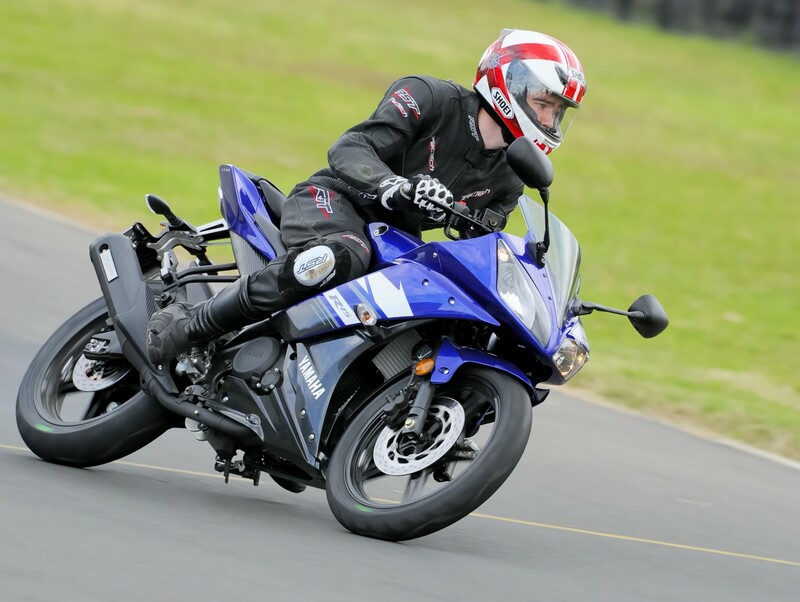 The older R15 was also on hand for an easy comparison of features, which was handy because there is quite a list. New five spoke cast rims are much sportier and wider, holding larger tyres for better performance, with the rear now taking a radial 17in 130/70 tyre (up from 100/80). 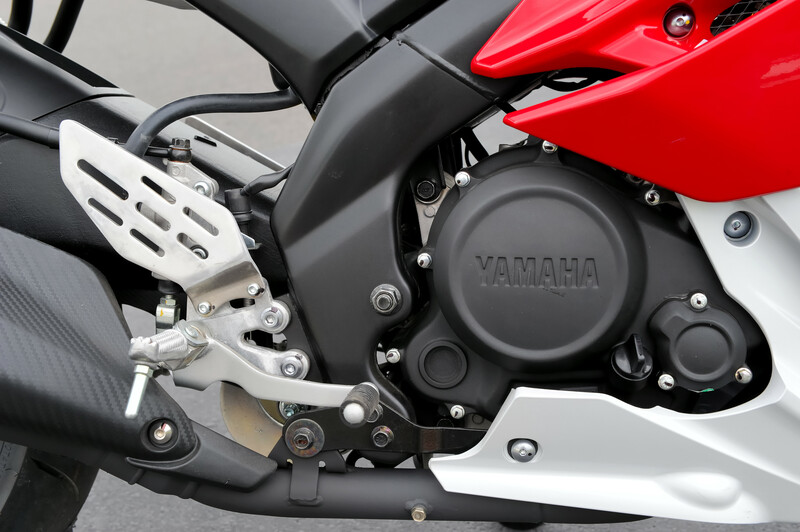 The YZF-R15 tail has been heavily restyled after the R6 and is taller, more streamlined and benefits from a far more stylish licence holder. The grab rails are also gone and the seat is now a two-piece affair with storage. 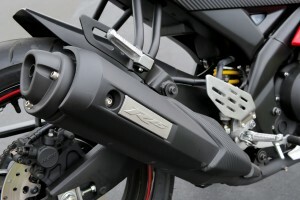 A rear guard also helps keep muck off the rider, while a larger 220mm rear rotor adorns the rear. Even the muffler has been upgraded, with a sportier shielded design complete with a R15 embossed plate.The rear swingarm is now a longer cast aluminium affair incorporating a tress structure for improved rigidity and giving better handling characteristics. The taillight is also LED and more sportily integrated into the tail. Less visible changes include new link-type rear suspension for a sportier and more comfortable ride, a DiASil aluminium cylinder with 20 per cent silicone, a 7mm offset crankshaft for reduced friction, a reconfigured ECU for better drive and economy and a single camshaft operating two rockers and using roller bearings to reduce valve train inertia and friction. 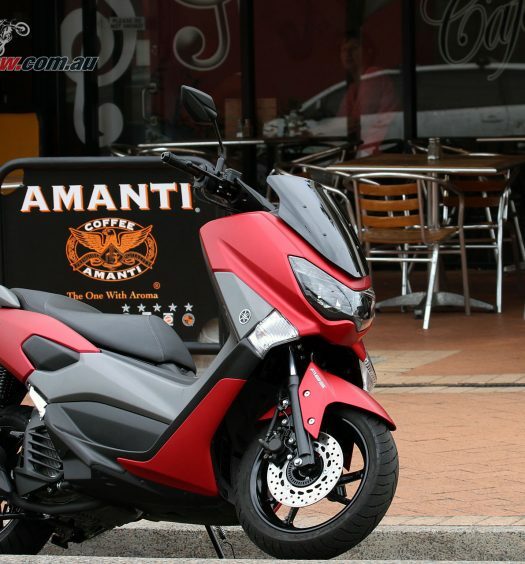 In fact with a claimed 45km per litre this bike is in scooter efficiency territory and with a 12L tank will be capable of very good range on a single tank. On the road ride I was immediately impressed by the little machine, as in typical learner legal fashion take-off was controlled and unintimidating, while the bike quickly picked up speed as you wrung the throttle. 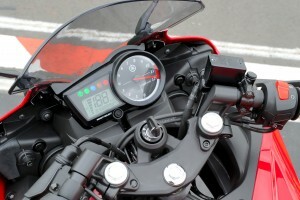 Carrying that speed was a breeze with easy and precise gear changes and the single cylinder engine benefits from a great usable power range, without the peakiness exhibited by fours. The power was certainly there though. Pretty terrible road conditions were taken in the YZF-R15’s stride and at only 136kg fully fuelled the bike is easy to throw around with a nice low seat height of just 800mm. Braking from the single front rotor is well within expectations, although I’ll admit to thinking more does tend to be better in this department, if largely unnecessary on this bike. 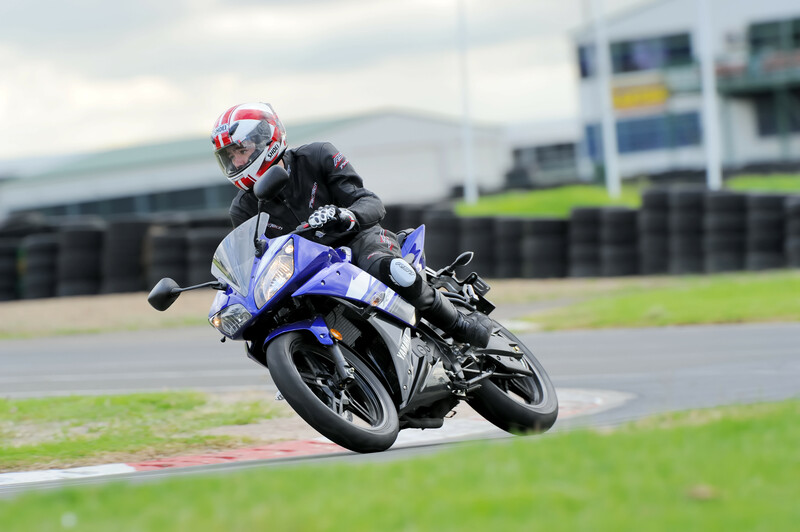 On the karting track the bike continued to impress with great handling and tractable power. 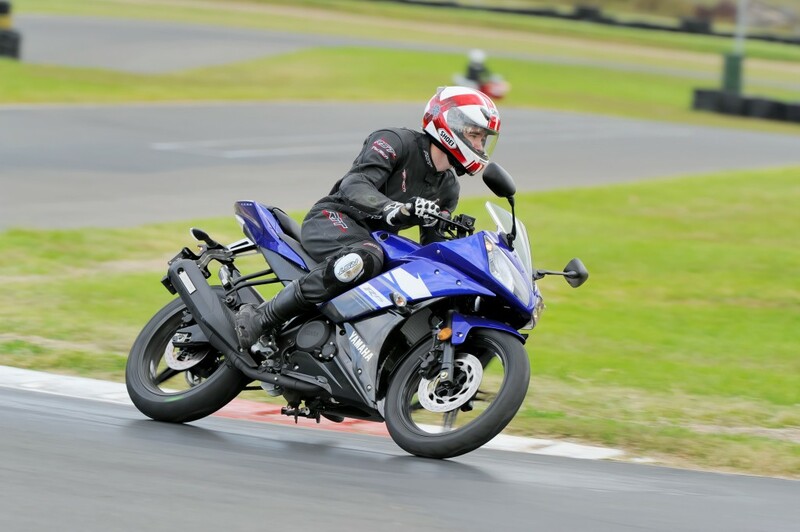 The bike’s lightweight was a real boon on the tight track and cornering was a pleasure with great stability. Drive out of the corners was good, with plenty of grip in the tyres and inspired pushing harder. Brakes remained consistent with good bite and stopping power throughout the sessions of back to back riding, as did the tyres. The YZF-R15’s overall excellence encourages you to push the boundaries and in doing so you only further realise just how impressive a package it really is, providing the same confidence inspiring ride from start to stop. 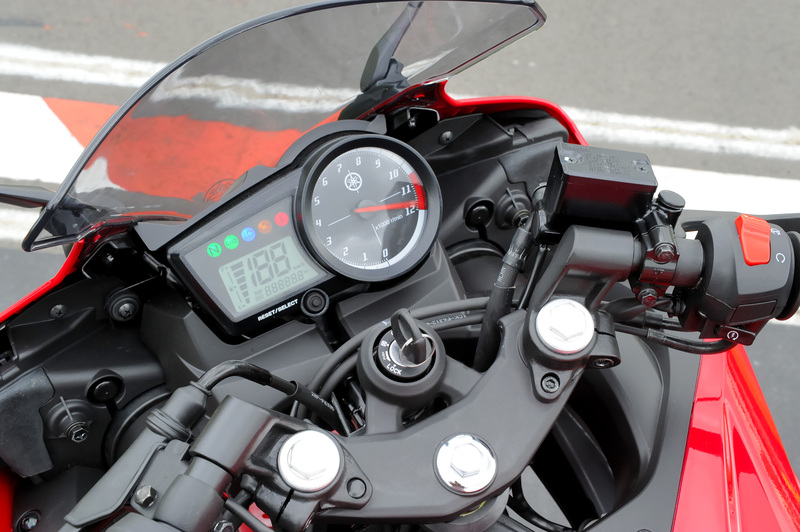 In reality having tested many of the learner legal options in recent times the gap between the 150cc R15 in performance is unnoticeable in comparison to many of the larger offerings, as power delivery and usability is far more important than a peak figure for general road riding. 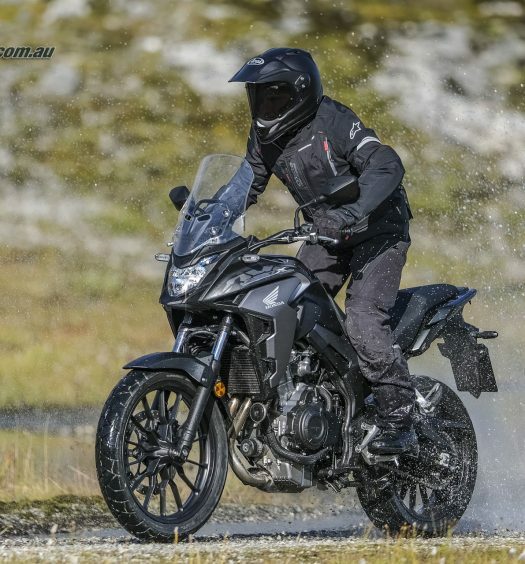 Even at highway speeds the bike is comfortable and well within its and your own comfort zone, providing an ideal starting point for your riding adventures. At the end of the day, there is one major factor which really sets the R15 apart and that is the asking price for this competitive offering. At $4299 plus on road costs you just cannot beat the R15 for value. 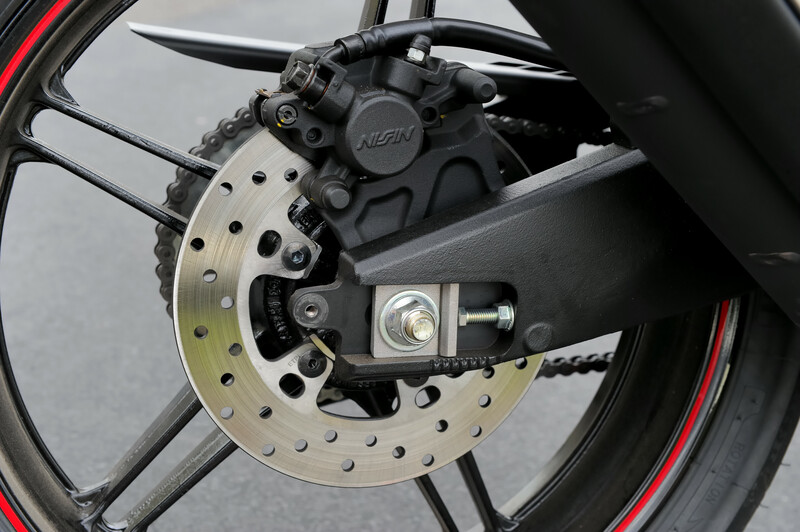 BRAKES: Nissin twin piston caliper, single FRONT rotor, Rear: Nissin caliper, 220mm rotor.